From left to right: Ada Lovelace, Ida B. Wells (Project Gutenberg), and Emily Warren Roebling. Today on “Two Way Street” we’re discussing The New York Times obituary project “Overlooked” with its co-creator Jessica Bennett. From Ida B. 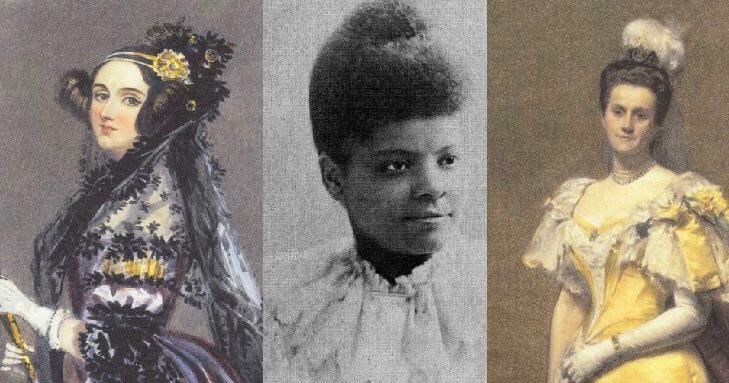 Wells to Emily Warren Roebling, “Overlooked” features the retroactive obituaries of prominent women whose stories initially failed to make it into the Times obit section. Jessica, the Times’ newly appointed gender editor, joins us to discuss her work on “Overlooked” with the digital editor of the obituary desk Amisha Padnani. And since no conversation about obituary writing is complete here in Georgia without including the Atlanta Journal-Constitution’s longtime obit editor, we asked Kay Powell to join us, too. Kay served as obituary editor of the AJC from 1996 to 2009. “Overlooked” began after an exhaustive search of the Times’ obituary archives struck Jessica and Amisha with this epiphany: white men had historically dominated the newspaper’s obituaries. The two editors responded by writing obituaries for some of the women who had been neglected. Since the initial obituaries were published in March, “Overlooked” has become a weekly feature in the Times. Southern Storytellers: Kay Powell, Frances Mayes, And Roy Blount Jr.
We have a big anniversary coming up here on “Two Way Street.” On July 5, we’ll celebrate three years on the air. In that time we’ve talked with well over 100 guests – authors, performers, chefs, scientists, historians and others who have good stories to tell; because that’s what TWS is all about: storytelling.